We are passionate about the fiber arts. 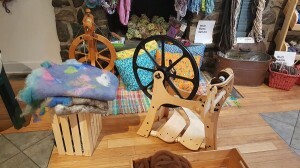 Visit the Fiber Arts & Mill and watch how we take wool from small farms and producers and process it into yarn and a wide range of products from roving to rug yarn. 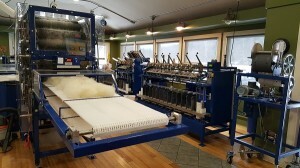 Just like the Farm-to-Table movement has taken hold across the country Mad River Fiber Arts & Mill would like to start a Farm-to-Fiber movement. 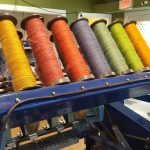 We strive to educate about where our clothes and textiles come from and to support the local economies by providing our customers with high quality products from their own fiber, which they can sell in their shops or at fairs. 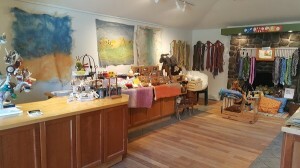 We also have our own line of yarn and fiber products made from 100% Vermont wool, alpaca and mohair. 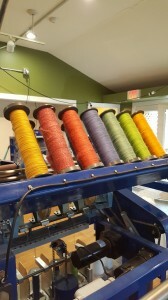 Our colorful and vibrant hand dyed products are like a candy store for the fiber lover. We invite you to visit, learn and understand the process in this special experience. Located just over 20 minutes from popular Ben & Jerry’s and minutes from Bridge Street, its covered bridge, scenic views and specialty shops. Tour $4.00 p/p. Reservations required. Plenty of motorcoach parking. Scenic Mad River views and just across from Lareau Farm Inn for an on-farm lunch.